A group of D.C. doctors use music to treat themselves. Four doctors at MedStar Washington Hospital Center and MedStar National Rehabilitation Hospital unwind by playing in a band. The leader of One Note Samba, Dr. Robert Bunning of MedStar NRH, specializes in helping arthritis patients. “Well, I’m in joints by day and joints by night because I play a little piano in clubs at night,” he said. To give an idea how good the band actually is, the guy on bongos is the original drummer from the Jefferson Airplane. “We’re very good doctors but we’re musicians who just love playing,” Bunning said. Neurologist Dr. Marc Schlosberg has played at Carnegie Hall. Rehab specialist Dr. John Aseff noted there’s a healing component to music. 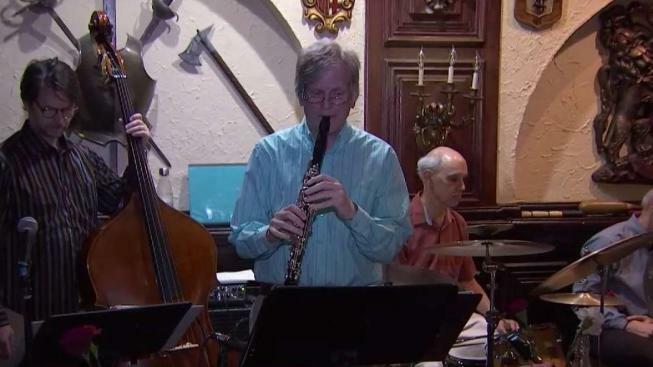 The band started out playing hospital benefits from time to time but now plays about once a month at restaurants and nightclubs — and they draw a crowd. But none of them plans to give up their day jobs.